What Dr. Kissinger said about South Vietnam in 1968 is just as relevant today for US allies Mexico and Pakistan. Both nations are paying with their blood every day for being US allies. In yet another blow to the already fragile US-Pakistan ties, the US Congress has frozen $700 million in aid to Pakistan until it gives assurances it is helping fight the spread of improvised bombs, or IEDs, in the region by regulating the distribution of calcium ammonium nitrate fertilizer. While the loss of a few hundred American lives to IEDs each year in a war zone needs to be reduced, the hypocrisy US legislators is evident by its failure to legislate to control guns in America that claim 30,000 lives (including suicides) each year in the United States, and tens of thousands more in drug related gun violence in Mexico. The most recent figure released by the Mexican government on the number of dead during the last 4 years is just over 34,000, according to Los Angeles Times. It's the consumption of drugs in the United States that makes drug smuggling highly profitable for powerful drug cartels, and it's the US made guns smuggled across the border into Mexico that account for the bulk of the Mexican fatalities. US Military commanders say fertilizer bomb in Afghanistan could be as crucial to the Taliban as the surface-to-air missile was to the Afghan mujahedeen fighters in their war in the 1980s against the Soviets, according to a Wall Street Journal report. In response to US concerns, Afghanistan government banned the use of Ammonium Nitrate last year. Pakistan followed suit by banning its use in Khyber Pakhtunkhwa (KPK) province which borders Afghanistan. 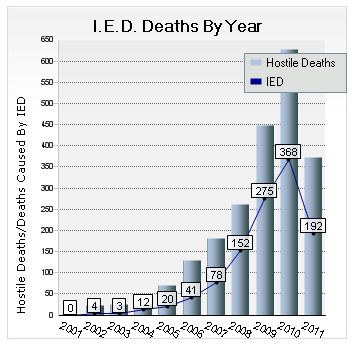 The ban has been effective in significantly cutting IED casualties in 2011. There have been 192 IED related deaths till Sept this year, down from 368 last year, according to report in Time magazine. Part of the decline is attributed to the fact that the Taliban are now detonating roadside bombs with electronic signals, serving two purposes: they let the triggerman allow civilian vehicles to pass safely, and also let him time the explosion so the increasingly-sophisticated shaped-charged IEDs would do the most damage to the target vehicle. As a land-locked and food deficit nation, Afghanistan gets the bulk of what it needs to survive from or through Pakistan across the 1500 mile long border shared by the two nations. Stricter controls on smuggling of Ammonium Nitrate may help reduce it but it's unrealistic to expect to completely eliminate it. Similar fertilizer is used by other Afghan neighbors and it is probably already being smuggled by determined insurgents into the country. While the number of IED related deaths in Iraq number in hundreds, there are 30,000 lives lost annually to gun violence in the United States, according to the U.S. Centers for Disease Control and Prevention. More than 100,000 Americans are victims of gun violence each year. In addition to those who are killed or injured, there are countless others whose lives are forever changed by the deaths of and injuries to their loved ones. There are obvious parallels between the the US-Mexican border and the Pakistan-Afghanistan border in terms of cross border smuggling and violence. 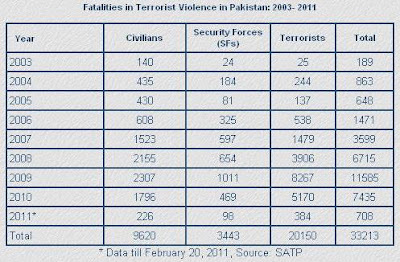 The key difference is that the number of casualties in Afghanistan is only a small fraction of the death toll in Mexico and Pakistan. Given the Congressional inaction on gun control in the United States, the demands made on Pakistan are just hypocritical. Such demands and threat of punitive action against Pakistan will only worsen the US-Pakistan relations and damage the US efforts in the region. Your comparison doesn't hold water - In the US, possessing weapons is in accordance to the second amendment - an Individual's right to bear arms for self defense. This is constitutional. In the other scenario, American soldiers are being killed by IEDs, which are made for materials mostly imported from Pakistan. This is illegal, and should be treated as such. Anon: "Your comparison doesn't hold water - In the US, possessing weapons is in accordance to the second amendment - an Individual's right to bear arms for self defense. This is constitutional." The production and use of fertilizer is legal in Pakistan, as it is elsewhere in the world. Guns made in America kill tens of thousands of Americans, and American guns smuggled into Mexico have killed tens of thousands of innocent Mexicans, and the US has failed to stop it. 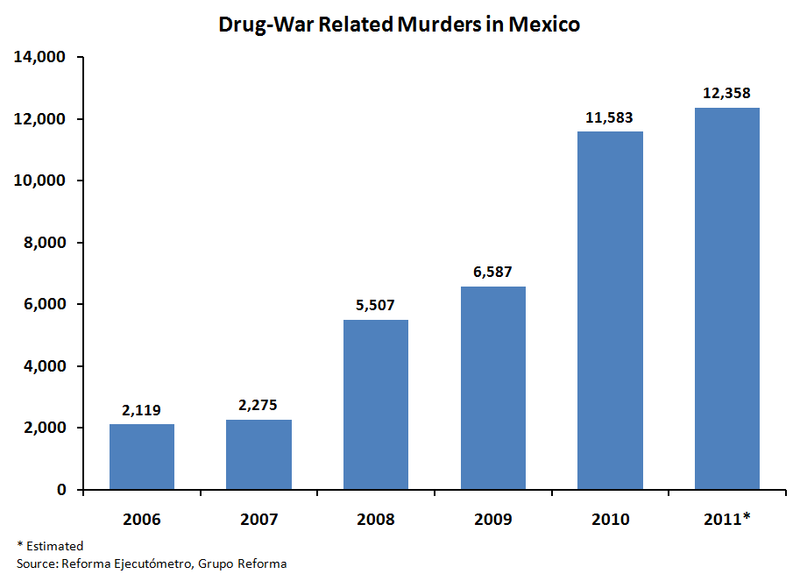 The number of Mexican deaths are rising. Guns are made primarily for one purpose: to kill. Fertilizer is made primarily for use in farming; to feed and clothe people, not to kill them. Pakistan is making efforts to stop its smuggling, and the IED death toll has dropped significantly this year to about 192 from 368 last year. There's major corruption involved as well, it seems to me. After all how else can $25 billion a year get passed from US to Mexico? Some of the funds also get laundered through housing. Catherine Austin Fitts who was at HUD revealed her shock at learning about it. pakistan should stop making fertilizer for a few years till the WOT is completed the US should in the mean time compensate it with equal amount of fertilizer free of cost which cannot be used to make bombs. Then gradually there should be ToT to enable Pakistan to make this sort of fertilizer. Fatima Fertilizer Co. (FATIMA), Pakistan’s third-biggest maker of the farming ingredient, plans to build a new factory in Africa at an investment of about $1 billion to tap international markets. The company expects to finalize plans this year to set up the factory, Fawad Ahmed Mukhtar, chief executive officer, said in a telephone interview from his Lahore head office. The fertilizer maker may consider forging a partnership by investing $200 million, he said, without elaboration. Fatima registered its American Depositary Receipts in New York in March 2011 to raise its profile and expand overseas, aiming to overcome a chronic gas shortage at home. Pakistani fertilizer makers including Engro Fertilizer Ltd. and Fauji Fertilizer Co. get as much as 50 percent less gas than they need to run their factories, curbing production, according to Foundation Securities Pvt. in Karachi. Fatima’s planned Africa factory may have a capacity to produce more than 1 million tons of fertilizer because the company expects to get “the best gas rates,” Mukhtar said. “Besides local sales, we are also looking to export from there to Pakistan, Brazil and the markets in Africa,” Mukhtar said yesterday. To set up the plant Fatima is considering countries including Nigeria, Algeria, Tanzania and Mozambique, where there is “enough gas, which means that they will offer us good rates and good terms,” he said. Fatima rose 1.6 percent to 24.90 rupees at the close in Karachi yesterday. The stock has almost doubled in the past 12 months, compared with a 10 percent gain for the Karachi Stock Exchange 100 Index. Companies in Pakistan including Lucky Cement Ltd., the nation’s biggest producer of the building material, are expanding overseas to cut dependence on their home market. Lucky will begin construction of a cement factory in Congo by June through a joint venture. Expanding overseas will help companies including Fatima to diversify risks, according to Taha Khan Javed, manager research at Foundation Securities. The company will rely on a mix of its own cash, bank loans and investment from partners to fund the new plant, Mukhtar said. Fatima posted a net income of 4.12 billion rupees ($45 million) in the year ended Dec. 31, the first annual profit in four years after it started commercial operations in July. The Danish Industrialisation Fund for Developing Countries and Haldor Topsoe AS, a Denmark-based maker of catalysts, have agreed to partner Fatima and will also help arrange funds, Mukhtar said, without specifying if they will collaborate on the African factory. “We are looking at projects internationally for setting up new plants and starting production in two to three years,” said Mukhtar. Depending on the “opportunity at hand,” Fatima may set up more than one plant overseas, he said. Fatima Fertilizer’s ADR, each representing 50 local shares, may begin trading in the over-the-counter market in New York by June, Mukhtar said. Bank of America Corp. is the market maker, Bank of New York Mellon Corp. is the depositary, and Standard Chartered Plc is the custodian bank, he said. The building blocks of the historic visit by Russian President Vladimir Putin to Pakistan in September have begun arriving in Islamabad. It is a poignant moment in the region's history and politics. This will be the first time a Russian president visits Pakistan since its birth in 1947. Besides, in immediate terms, mutual understanding with Pakistan is becoming an imperative need for Russia in the post-2014 scenario in Afghanistan, where the Western powers would have withdrawn the bulk of their troops but are nonetheless establishing an open-ended, sizeable military presence of tens of thousands of combat troops. Russia and Pakistan are joined in their opposition to the long-term occupation of Afghanistan by the West; Russia hopes to influence Pakistani policies with regard to Afghanistan's future and, in turn, cooperation with Pakistan enhances the overall Russian resilience to play an effective role in the stabilization of Afghanistan and in providing security to Central Asia; and, equally, a strong relationship with Pakistan - in the field of energy security, in particular - can provide yet another underpinning for Russia's strategic ties with other key regional powers, especially China, India, Iran and Saudi Arabia. Last but not the least, Pakistan is a valuable interlocutor for Russia with regard to the activities and movements of the militants operating in North Caucasus. Russia can offer financial and technical assistance for Pakistan's multi-billion dollar gas and power import projects that are in the pipeline. Specifically, Russia is interested in participating in the two big gas pipeline projects on the anvil, namely, the TAPI (Turkmenistan-Afghanistan-Pakistan-India) and the IP [Iran-Pakistan]. Russia prefers that the cooperation is negotiated at the governmental level through direct negotiations rather than through bidding. Russia will be willing to cooperate in the exploration of oil, gas and minerals in Pakistan. Meanwhile, Pakistan will hand over to Russia by mid-July a draft agreement for financial and technical assistance from the latter for the IP project. Look at the map below. It shows the average number of firearms per 100 people. Most of the world is shaded light green – those are the countries where there are between zero and 10 guns per 100 citizens. In dark brown, you have the countries with more than 70 guns per 100 people. The U.S. is the only country in that category. In fact, the last global Small Arms Survey showed there are 88 guns for every 100 Americans. Yemen is second at 54. Serbia and Iraq are among the other countries in the top 10. (Pakistan has 12 civilian guns per 100 and ranks 57 while India has 4 per 100 and ranks 110). I spoke this morning with James Alan Fox, who said mass killings were not unknown in the U.S. prior to 1966 — when Charles Whitman took to the Texas tower with an arsenal and began picking off civilians — but they were exceedingly infrequent. Ever since 1976, we’ve been averaging more than 20 per year. Now, that has to do with a lot of things. It has to do with industrial-strength violence on TV and the movies, and the obsessive use of violent video games by young men, and the increasing mobility and atomization of society — but, as the Aurora shooting demonstrates, the carnage is greater (and the experience more otherworldly kinetic) when assault weapons are involved. The killer in Aurora, Colo., was very intelligent and farsighted and meticulous. I defy you to write a gun-control law that would prevent someone like this with a long time horizon and a great planning capability from getting the arms he wants. I just think that this is a mistake. Again, this has the appearance of accuracy — but it’s a sloppy, defensive argument. Will is undoubtedly correct that the killer was going to go on a rampage no matter the severity of gun-control laws. But what if he’d not been able to purchase a semiautomatic rifle with the capacity to fire 50 to 60 bullets per minute? How many would have been killed and wounded then? Far fewer, no doubt. And if an assault-weapon ban would save lives in situations like these, just what exactly is the argument against? That gun owners’ rights are being violated? Oh, please. No right is absolute. You don’t have the right to own a nuclear weapon. The question is where you draw the line. Taken to its logical conclusion — that no law can prevent all these attacks — Will’s formulation collapses into silliness. It’s like arguing that there’s no sense in having police departments because they can’t prevent every crime. An assault-weapon ban would, at the very least, make it significantly harder to bring off the Aurora massacre. And if it prevented just one of the 20 mass killings a year, it would be worth it. If it prevented one mass killing a decade, it would be worth it. Actually, if it prevented one person from getting wounded in a rampage these past 30 years, it would have been more than worth it. We are not talking about characters in Batman movies here. We are talking about the death and maiming of actual people. And our inability to have this conversation now — Kristol is absolutely right about the President’s lack of a spine on this one — says a lot about the paralytic dysfunction of our political system. This should be a no-brainer. Pakistan's effort to cut off the flow of fertilizer to militants using it to make bombs in this key tribal sanctuary along the Afghan border has outraged local farmers, who complain the policy has cut their crop yields in half. The blowback in North Waziristan could prove costly as the army grapples with how to tackle enemies of the state holed up in the remote, mountainous area, a task that is likely to be more difficult if the government is unable to mobilize support from local tribesmen. "It's true that fertilizer is being used to make bombs, but the farmers are not the ones doing it, so why does the ban apply to us?" said Mohammad Daraz, a farmer in Miran Shah, the main town in North Waziristan. Pakistan has struggled in recent years to avoid offending the population with heavy handed tactics as it battles domestic Taliban militants throughout the northwest. The U.S. has faced this same difficulty in neighboring Afghanistan — not least in its efforts to keep fertilizer, most of which comes from Pakistan, out of the hands of militants whose bombs have killed hundreds of American soldiers. Pakistan first imposed a ban on certain types of fertilizer in North Waziristan and other parts of the semiautonomous tribal region more than three years ago, officials and farmers said. The government instituted the policy after determining that fertilizer had been used in most of the major bombings in Pakistan, especially those involving vehicles packed with explosives, said a senior government official who worked on the ban. The ban was meant to apply only to urea and other fertilizers that contain ammonium nitrate because they can most easily be turned into explosives, said the official, speaking on condition of anonymity because he was not authorized to talk to the media. But security forces have instead simply tried to prevent all fertilizer from getting into North Waziristan, said farmers and fertilizer dealers. The problem has gotten worse for the thousands of farmers in North Waziristan with each passing year as authorities have increasingly attempted to cut down on fertilizer smuggled into the area, which has become the main sanctuary for Taliban and al-Qaida militants in the country. Pakistani authorities knew that limiting the flow of fertilizer to the tribal region would be hard on farmers but went ahead with the policy because the threat from bombings was so great, said the government official who worked on the ban. Pakistan's neglect of the poor and underdeveloped tribal region over decades is one of the reasons the Taliban insurgency that flared up there has been so difficult to extinguish. The Pakistani military has conducted a series of offensives in all parts of the tribal region except for North Waziristan. The army plans to step up operations against the Taliban and their allies in North Waziristan in the near future, according to Pakistani and U.S. officials. If that happens, the army may not want to count on the support of local farmers. "This fertilizer ban is destroying us," said Ilyas Khan, a farmer from Mir Ali. "All we can do is pray for the situation to improve so we can resume our normal business." 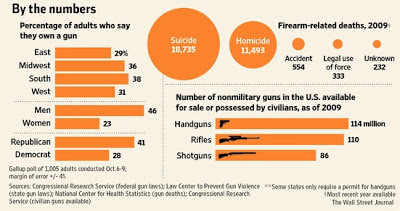 Even as the US deals with the tragic loss of 26 people, including 20 children, to gun violence in Connecticut, there is no discussion of gun control while the US Congress is telling Pakistan to implement fertilizer control. In a hearing of the Senate Foreign Relations Subcommittee on Near Eastern, South and Central Asian Affairs regarding IEDs and terrorist networks in Pakistan, JIEDDO Director Lieutenant General Micheal Barbero said that Pakistani producers of calcium ammonium nitrate – an agricultural fertiliser used to make explosives – have been “less than cooperative” in discussions with the US. He maintained that while they have made minor packaging and tracking changes, they still have to implement any effective product security. He said he believed these producers must also do more. “Despite a ban on calcium ammonium nitrate by Kabul, the fertiliser has been used in more than 70% of roadside bombs used against coalition forces in Afghanistan,” Lt Gen Barbero told the subcommittee. According to him, the amount of IED materials seized in Afghanistan has increased from 30 tons in 2009 to 444 tons currently in 2012. The JIEDDO Director told the hearing that Pakistan’s national counter-IED strategy had not been fully implemented either and legislation pertaining to the matter had yet to be passed by the Parliament. Lt Gen maintained that a strong US-Pakistan partnership was required to tackle IED networks on both sides of the border and that both countries need to move beyond discussing cooperation to actual cooperation. Meanwhile, subcommittee chairman Senator Bob Casey who convened the meeting, said he received a letter from US Ambassador to Pakistan Richard Olson on Wednesday which highlighted the casualty toll in Pakistan from IED attacks. Around 2,395 people had been killed in such attacks in the past year, he maintained citing figures compiled by the US embassy in Pakistan. “Each of these deaths is a tragedy,” said Senator Casey, adding that the US honours the sacrifices Pakistanis have made in the struggle against violent extremists. He too, however, underscored the need to do more on Pakistan’s part. “While I’m pleased that Pakistan has developed a very detailed and comprehensive set of plans to counter IEDs, let me be clear … it’s time to fully implement these plans,” he said. “The current pace of activity by the Pakistani government is not acceptable… IED incidents have risen in Afghanistan. The flow of chemicals coming from across the border has not diminished,” the Senator added. There is no shortage of opinions about whether gun-control laws accomplish what they are designed to do—reduce violent crime. What is lacking are data. As U.S. lawmakers prepare once again to take up the contested issue in the wake of the Newtown school massacre, they will find that all data on guns are surprisingly scarce. Even if the CDC were still asking the question, some researchers doubt whether such data could be trusted. "People who think the government is going to take their guns away aren't going to say whether they have guns," said Carl Moody, professor of economics at the College of William and Mary. Researchers said proving a cause-effect relationship between gun laws and gun violence is difficult, if not impossible, for several other reasons. Federal gun restrictions in recent decades have been minor in scope, for one thing, making before-and-after comparisons unreliable. Researchers pointed to the 1994 assault-weapons ban, which was riddled with exceptions and expired in 2004. The effect of state gun laws is tough to gauge because weapons flow freely from state to state. U.S. troop deaths and wounds from makeshift bombs in Afghanistan dropped by almost half in 2012 as Afghan forces take a larger share of fighting and Americans find and defuse more bombs than ever, according to Pentagon data. Improvised explosive devices -- the top threat in Afghanistan -- killed 104 U.S. troops in 2012 compared with 196 in 2011, a 46% decline. Bombs wounded fewer, too, from 3,542 in 2011 to 1,744 in 2012, a 50% drop. A flood of surveillance equipment, metal detectors and intensive training have helped spur the decline in casualties, said Lt. Gen. Michael Barbero, who commands the Pentagon's Joint IED Defeat Organization. "Finally, our war fighters and commanders in the field are the best counter-IED capability we have," Barbero said. "They get it and have a deep and thorough understanding of the enemy, the IED threat and how to attack it." Overall, makeshift bomb attacks in Afghanistan in 2012 dropped by about 8% from their record high in 2011. There were 15,222 incidents involving improvised explosive devices (IEDs) in 2012. An IED event is a bomb that explodes, one that is found and defused or the discovery of a cache of explosives. Afghan troops, however, suffered a 124% increase in 2012 in the number of IED attacks against them, records show, a sign of their growing role on the battlefield. 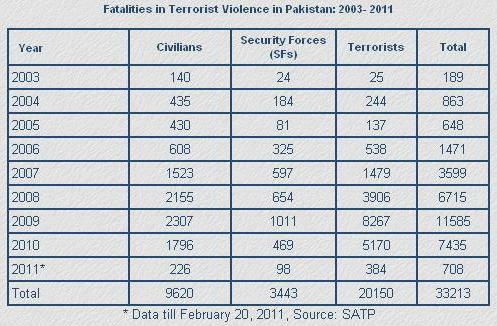 The complete 2012 statistics show the number of attacks against Afghans rose in the second half of 2012. The United States and Pakistan will begin working together on a new fertilizer formula that could be a significant technological step to limit the ability of terror groups to make improvised explosives and car bombs using the ingredient. An agreement to try to make a product more inert was reached last week after Pakistani officials from Fatima Group, a major fertilizer manufacturer, met with Pentagon officials. "Such a long-term solution would be a true scientific breakthrough," Lt. Gen. Michael Barbero, the head of the Pentagon's Joint Improved Explosive Device Defeat Organization, said in a statement. Barbero met with Fatima representatives to urge them again to take steps to control fertilizer inventories. The meeting itself was a step forward since the Pakistani government previously had stopped the U.S. military from talking directly to the company. Fatima Group is the Pakistani-based producer of calcium ammonium nitrate (CAN). It was developed as a non-explosive alternative to ammonium nitrate, long a key ingredient in homemade bombs used widely in Pakistan and in Afghanistan. But it can be converted into an explosive mixture. Hundreds of American troops have been killed by improvised explosive devices containing the material. Pakistan and the United States will now work on a "reformulated" CAN product in hopes of reducing its effectiveness in homemade bombs. It is produced by two factories in Pakistan that are both owned and operated by Fatima. It also has now confirmed to the Pentagon in writing that it has suspended sales of CAN fertilizer products in the border provinces to 228 dealers in the area. It is also working on plans for more readily visible bagging of CAN in hopes Pakistani border control agents will stop smuggling when they see it. Barbero is still pressing for color dying so it can more readily be identified. Fatima may have its own economic reasons for trying to improve its practices. A U.S. unit of the company, Midwest Fertilizer, has proposed building a plant in Indiana that promises 2,500 construction and 309 permanent jobs. Midwest issued $1 billion in bonds to finance the plant, but Indiana Gov. Mike Pence suspended state support after learning of Barbero's longstanding criticism of Fatima's failure to control its inventory. Barbero's frustration with a lack of progress by Pakistan and Fatima was evident last year when he publicly detailed how insurgents have learned to process and convert CAN into explosive material that can be used with a fuel to create a bomb. In a May, Barbero spoke to an international meeting of fertilizer companies and experts in Doha, Qatar. U.S. officials tell CNN that the details Barbero disclosed are publicly available on the Internet, but it's still rare for an American military official to speak openly about the detailed chemistry of bomb making. In December 2012, Barbero testified before Congress and was highly critical of both Fatima and the Pakistan government for failure to exert control over fertilizer and other components of bomb-making material. Racism is a continuing problem in America. But it gets much more lethal when you add proliferation of guns to the mix. The outrage in Zimmerman (who killed a black teen Tavon Martin) case needs to be directed at both racism and the gun laws in America to stop this carnage...much of it black-on-black in America's cities. There are 30,000 lives lost annually to gun violence in the United States, according to the U.S. Centers for Disease Control and Prevention. More than 100,000 Americans are victims of gun violence each year. In addition to those who are killed or injured, there are countless others whose lives are forever changed by the deaths of and injuries to their loved ones. At least 100 children were unintentionally killed by gunfire in the year following the mass shooting at an elementary school in Newtown, Connecticut, a new study from a leading gun control group shows. Despite stepped up police presence across Chicago, it was another violent and deadly weekend across the city. Ten people were killed and 52 others were injured in shootings since Thursday afternoon. The number of shootings was down from the Fourth of July weekend last year, but more people were killed. Police superintendent Garry McCarthy called for an end to the violence, after a 7-year-old boy was among those fatalities. Amari Brown was shot after someone opened fire just before midnight Saturday in the Humboldt Park neighborhood. He was pronounced dead early Sunday at Stroger Hospital. Relatives say the boy had been celebrating with family when he was shot. The boy’s father, who would not speak with WGN, is a documented gang member who police said was the intended target. During his presidency, President Barack Obama has had to deliver statements on gun violence 15 times. After a gunman opened fire at Oregon's Umpqua Community College, killing nine people and injuring seven, a visibly upset Obama said the shootings were becoming all too routine. The gunman also died, although it's unclear whether he was shot by police or committed suicide. He then asked news organizations to tally up the number of Americans killed through terrorist attacks in the last decade and compare it with the number of Americans who have died in gun violence. Using numbers from the Centers for Disease Control and Prevention, we found that from 2004 to 2013, 316,545 people died by firearms on U.S. soil. (2013 is the most recent year CDC data for deaths by firearms is available.) This data covered all manners of death, including homicide, accident and suicide. According to the U.S. State Department, the number of U.S. citizens killed overseas as a result of incidents of terrorism from 2004 to 2013 was 277. In addition, we compiled all terrorism incidents inside the U.S.* and found that between 2004 and 2013, there were 36 people killed in domestic acts of terrorism. This brings the total to 313. For the period of 2001 to 2013, which includes the 9/11 terror attacks, the total of American deaths by terrorism is 3,380.